Ronald L. Lipman, author of our Lipman's Wills & Trusts volume originally used our proprietary authoring software to automate the forms he uses in his own estate planning practice. He was so successful that we now market those forms in our Lipman's Wills & Trusts volume. He pays close attention to all Federal and state legislation and case law to make certain that these forms are always current. Ronald L. Lipman has been an enthusiastic advocate of computerized efficiency ever since 1983, when he discovered the benefits of preparing college papers on a Commodore 64. His fascination with computers led him to believe early on that automating his estate planning practice was the best means to boosting his efficiency. Having discovered ProDoc in its early years, Mr. Lipman taught himself the use of ProDoc’s authoring tools as he automated the documents he used in his own practice. We were so impressed with his work that we began marketing his forms as our Lipman’s Wills & Trusts volume. He continues to enhance the forms and increase the list of automated forms in this volume as his own practice grows. An attorney with an MBA, Mr. Lipman is the author of a weekly column in the Business Section of the Houston Chronicle, called "State Your Case," which answers legal questions submitted by the newspaper's readers. Mr. Lipman is a frequent lecturer on estate planning related topics for legal, accounting, financial planning, and insurance professionals. He has taught courses for the State Bar of Texas, the University of Houston School of Law, South Texas College of Law, the Texas Society of Certified Public Accountants, the Houston Chapter of the Texas Society of Certified Public Accountants, and the Fort Bend County Estate Planning Council. 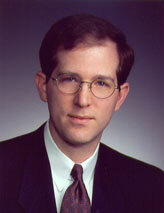 Mr. Lipman is Board Certified in Estate Planning and Probate law by the Texas Board of Legal Specialization.